I’m in the mood for a bit of a rant and a snadge of sarcasm. We at Sidmouth Plastic Warriors are all happy to do our bit but I am getting cross that a few people in our community aren’t getting it. 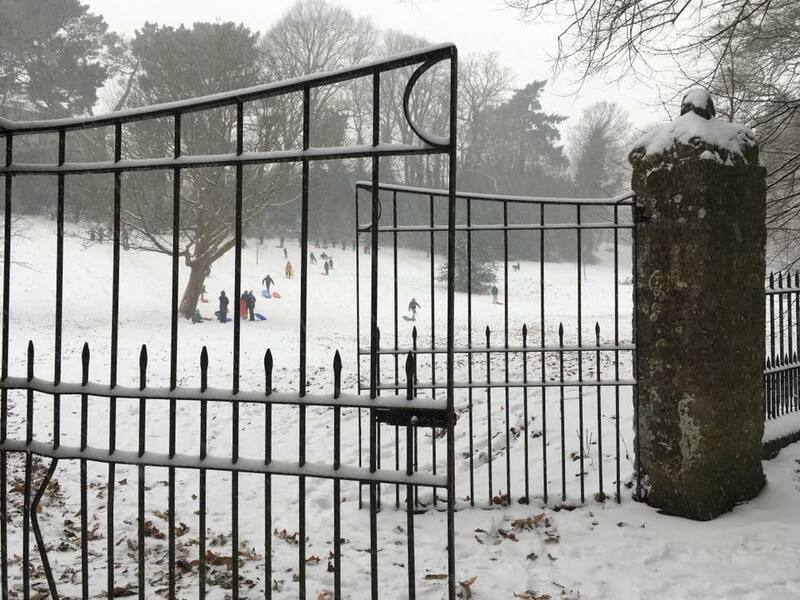 We need to step up our outreach to get every member of the community – such as those who would visit a local park (the Knowle) and have such a fantastic time (photo on right credit Angie Carney – pinched thanks Angie) – but then when their cheap plastic sledge breaks they just throw it all over the place. Also to the dog owners who took bundles of nappy/poo bags out but dropped them so that they went everywhere (I picked up at least 20 loose ones), thanks for that. Good intentions I suppose. 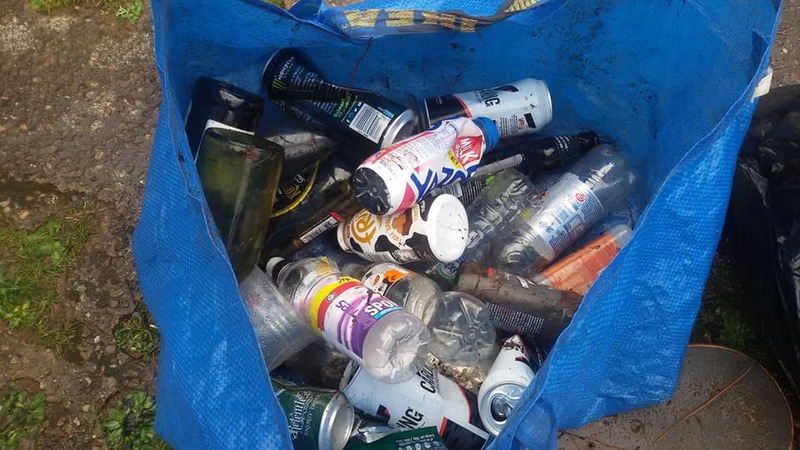 To the people who drink a bottle of water/fruitshoots/Naked juice then find a nice bush to throw them in, and to that kind soul who filled a hole in one of the trees with their plastic bottle – nice! Thanks. When did it become normal? To the people who take black plastic bags to the Knowle – why? And why leave them there? To the person who bought 4 cans of lager and drank 3 of them at them top of the hill – don’t worry, I got them for you (including the unopened one that you didn’t want. I don’t want it either). To the person who some years ago bought a 4 pack of tango, wrapped in plastic film, in a Tesco bag but didn’t want them… I found them under a load of leaves so don’t you worry either. To the EDDC employee sitting in your car, in the car park strewn with plastic waste (including part of broken sledge already mentioned) – you just relax and enjoy your drink! Rant over. Back to being positive now. To the person who left the skateboard without wheels – my children are delighted with it! Thanks! 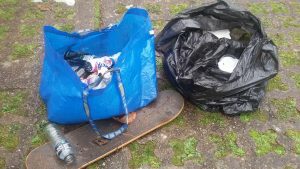 This entry was posted in Clean ups, Publicity, Town Action and tagged cross, knowle, lazy, litter picks, rubbish, sledge, snow. Bookmark the permalink.